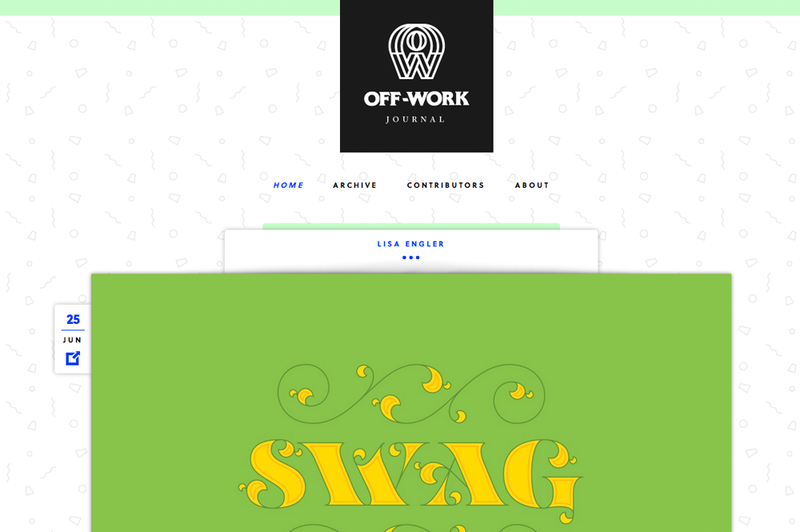 Off-Work, a gallery of personal design work, launched this Tuesday. The site is Ryan Hubbard’s brain-baby; he wanted to encourage himself and his friends to blow off creative steam on a regular basis. The illustrations also just happen to be sized for desktop backgrounds. We’ve been working on O-W for too many moons than we care to admit, but it’s awesome to see all those coffee-shop sessions come into fruition. I can’t wait until there’s more posts up on the site; with only one post per person, it appears to be a blog-style site, but each person actually has their own horizontal slideshow. Fun observation from Eileen Tjan: “…unintentional color scheme for first posts? ha. :D” Yep, all our illustrations happened to be green, yellow, black, and white. This project was designed/conceived by Ryan, built by yours truly.